This scenic self-drive road trip through the Scottish Borders, Lake District and Yorkshire areas of the UK is like journeying back in time. 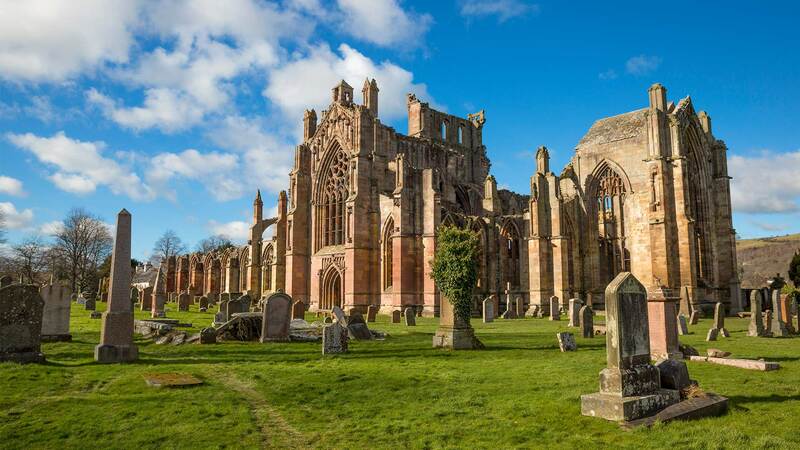 Travel at your own pace among charming Victorian towns, dramatic moors, castles, abbeys and other sites dating from Roman, Celtic and Viking times. 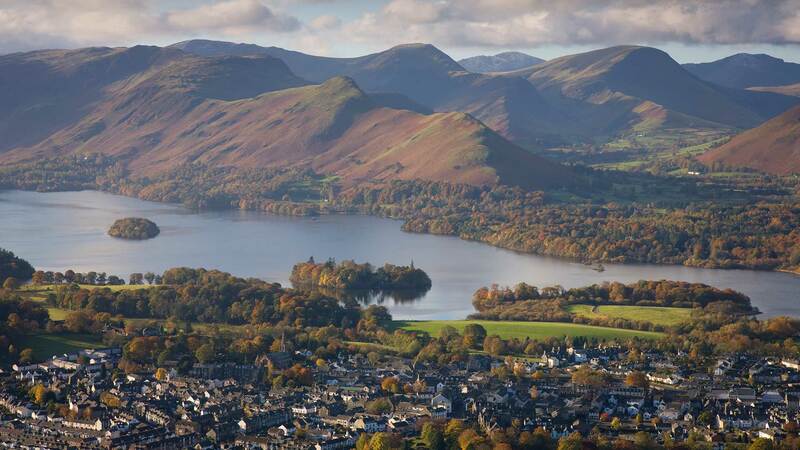 Explore the Old Town of Edinburgh and the medieval heart of York, marvel at ancient ruins like the Castlerigg Stone Circle and Hadrian’s Wall, and enjoy optional recreational activities in the lakes and hills of the UNESCO-listed Lake District. Welcome to Edinburgh. For an easy and comfortable way to get from Edinburgh Airport to your hotel in the city centre, we are happy to arrange a private transfer for you (at additional cost). After settling in, go out and explore. Edinburgh has a long and storied history, so there’s no shortage of UNESCO World Heritage Sites, museums and landmarks to visit, including the majestic Edinburgh Castle. 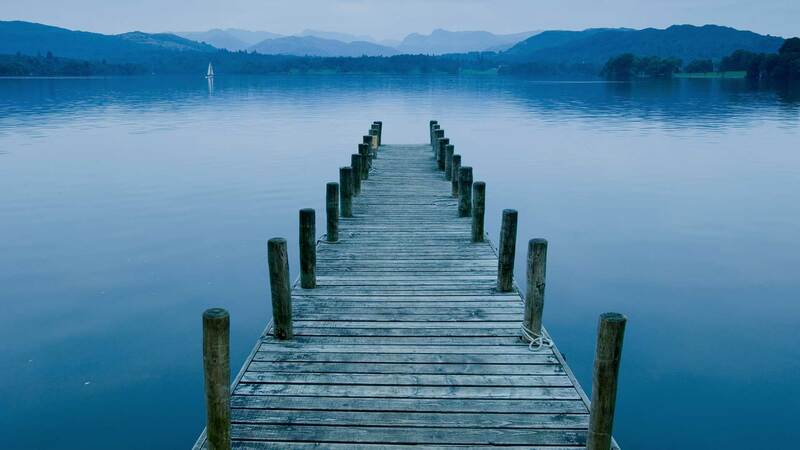 Today head south and explore the heart of the Lake District. The entire region was recently inscribed on the UNESCO World Heritage List on account of its natural beauty and literary connections, and today you'll get to visit sites that perfectly reflect both of these attributes. 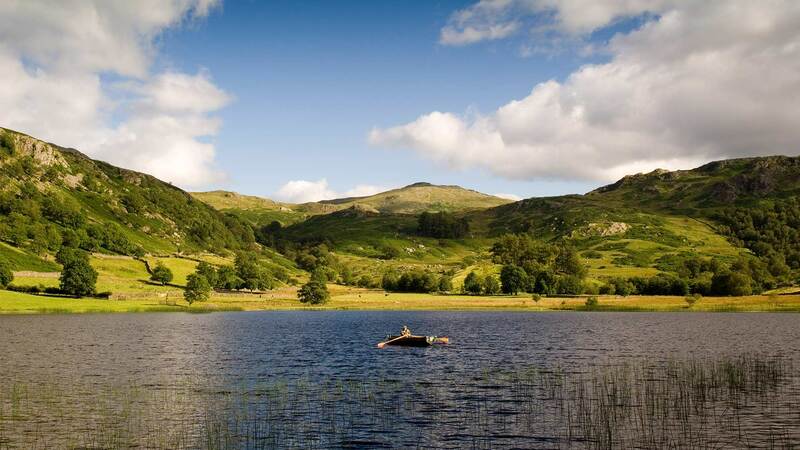 Continue your drive on small, scenic roads through Little and Great Langdale, past the picturesque Blea Tarn — a great spot to stretch your legs again and soak in the magnificent views of the Langdale Pikes. 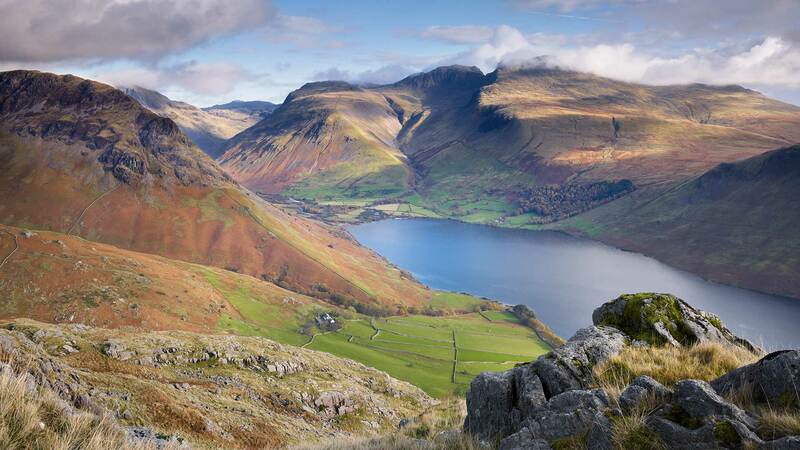 It’s time to leave the beautiful Lake District today for an equally stunning destination, the Yorkshire Dales National Park. 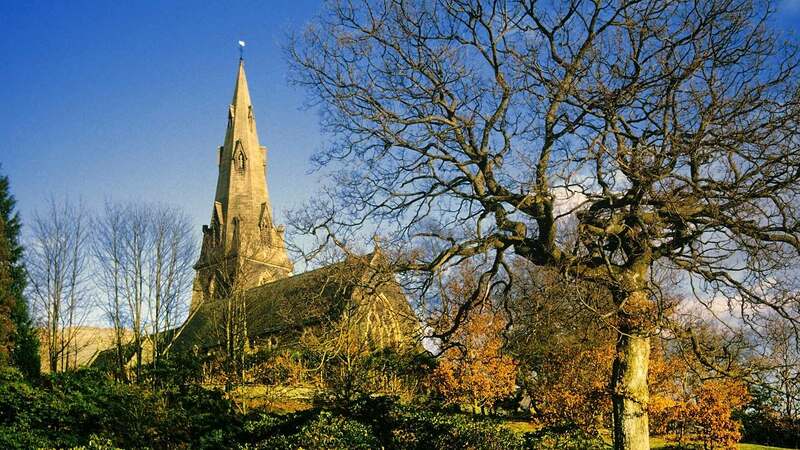 This is an area characterised by picturesque villages, drystone walls and winding roads between rolling hills. This relaxing drive offers plenty of picnic spots, great views and pretty towns to explore, including Hawes, Settle, Malham and Skipton. You can also take a walk to marvel at some of the impressive limestone formations, such as the Twistleton Scar with its unusual rock patterns and eerie gnarled trees — a unique photo site! Another interesting spot is Malham Cove, a huge carved limestone cliff that is 80 metres high and 300 metres wide. Continue to Harrogate, one of Yorkshire’s most elegant destinations, a fashionable spa town with broad tree-lined streets and beautiful parks and gardens. A visit here would not be complete without stopping for a scone and traditional afternoon tea at the famous Betty’s Tea Rooms! Spend the night in the York area. Today you have a full day to explore historic York, often considered one of the most beautiful cities in the UK. 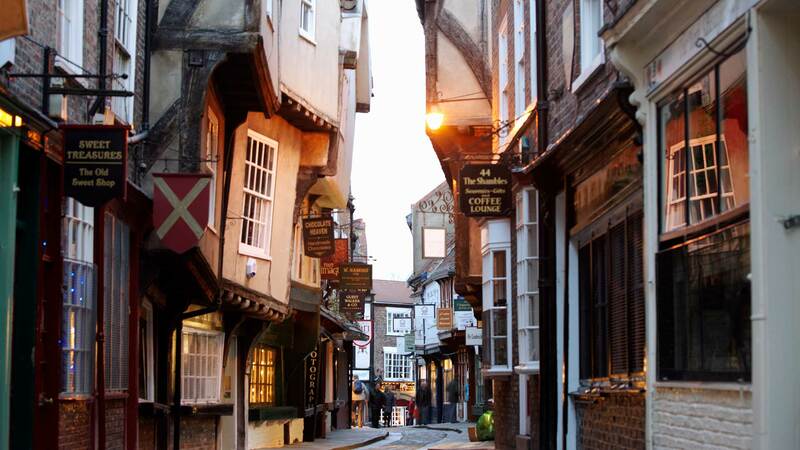 Wandering through the twisting, narrow lanes of the city centre is like stepping back in time, particularly on the Shambles, one of the best preserved medieval streets in the world with overhanging timber-framed buildings dating back to the 14th century. For an even bigger step back in time, check out the Jorvik Viking Centre, which displays remains from the ancient settlement of Jorvik, as York was known during the Viking Age over a thousand years ago. Another historical landmark in the city is York Minster, the largest gothic cathedral in Northern Europe, containing medieval stained glass, stone masterpieces and foundations that date back to the UK’s earliest history. Train enthusiasts, on the other hand, may enjoy a visit to the National Railway Museum, telling the story of over 300 years of railway history. Spend another night in the York area. Leaving York, your first stop today is Castle Howard, a grand 18th century estate with a walled garden in the Howardian Hills, surrounded by small lakes, fountains, temples and lush woodlands. Continue your drive through the North York Moors, where in late summer the purple heather blooms in all directions. 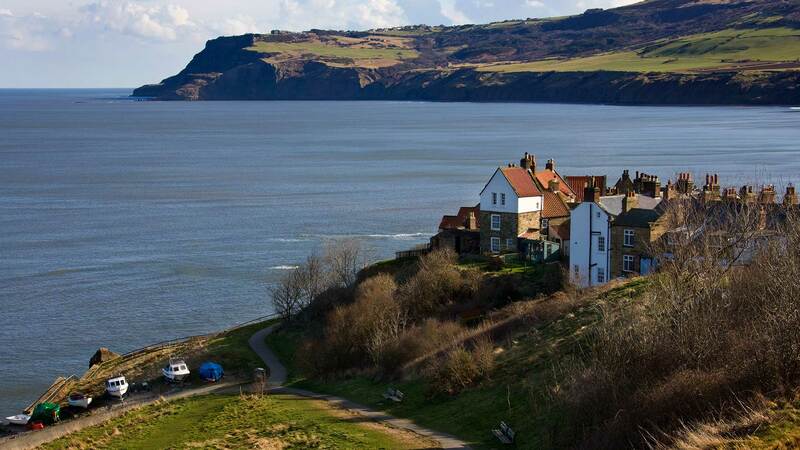 Then head for the North Yorkshire Heritage Coast where you can visit the postcard-perfect, charming villages of Robin Hood‘s Bay and Staithes. 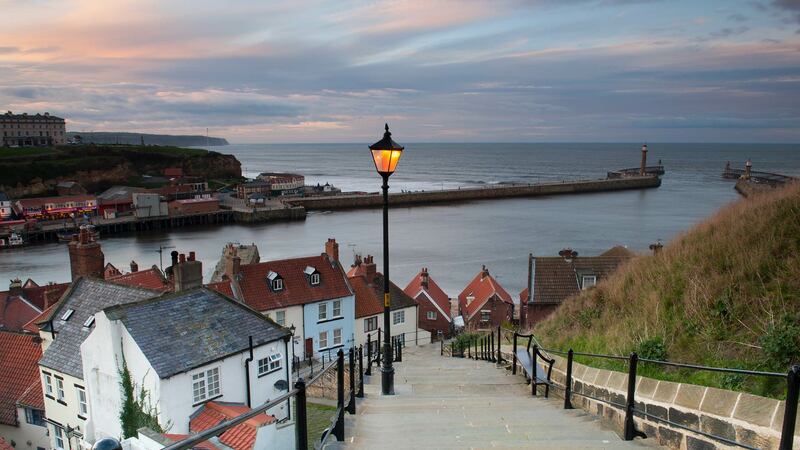 The resort town of Whitby is another fantastic stop with its lively pier, quaint streets and sandy coastline with colourful little beach huts. For even more spectacular views in Whitby, don’t miss the ruins of the clifftop abbey that inspired Bram Stoker’s tale of Dracula. Spend the night in the Durham area. 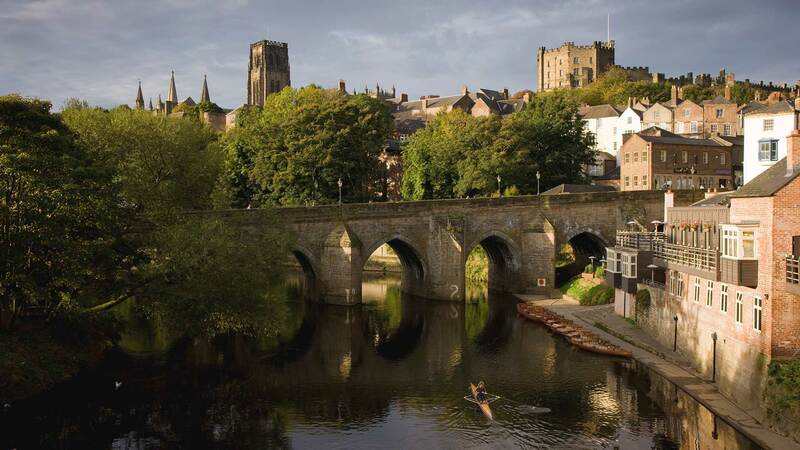 Spend the morning exploring Durham, a historic city with winding cobbled streets and scenic riverside setting. Take some time to enjoy its many little cafes, artisan workshops, boutiques, art galleries and museums. 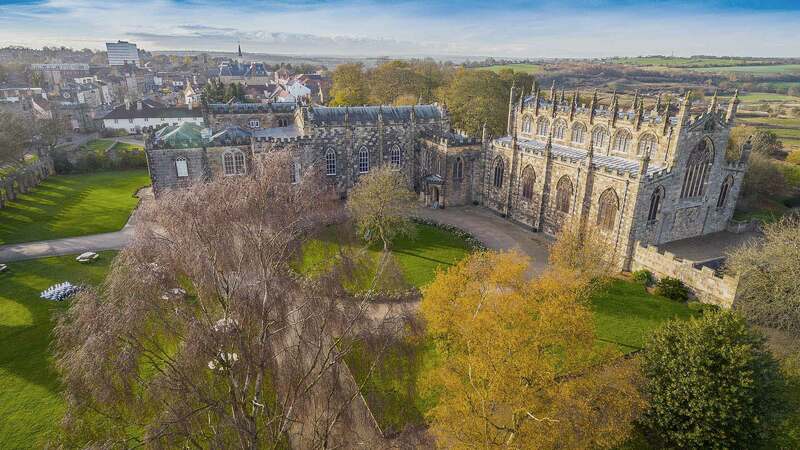 The main highlight here is Durham Cathedral, one of Europe’s most impressive structures and among England’s most intact medieval monastic buildings. Continue your journey north towards Hadrian’s Wall, also called the Roman Wall, which stood for around three centuries as the northern frontier of the mighty Roman Empire. Stretching for almost 80 miles it has 16 permanent bases along the wall, including the Housesteads Fort, the most complete example of a Roman fort in the UK. A visit here gives you a good imagination for how 800 soldiers worked and lived nearly 2000 years ago. Another great site to explore is Vindolanda, the location of nine ancient forts, providing a home to several generations of soldiers and their families. During the summer it becomes a live excavation site, giving visitors the unique opportunity to see what archaeologists discover in real time. Remains include a 3rd century bathhouse, a headquarters building, a temple to a Roman god and a mausoleum. 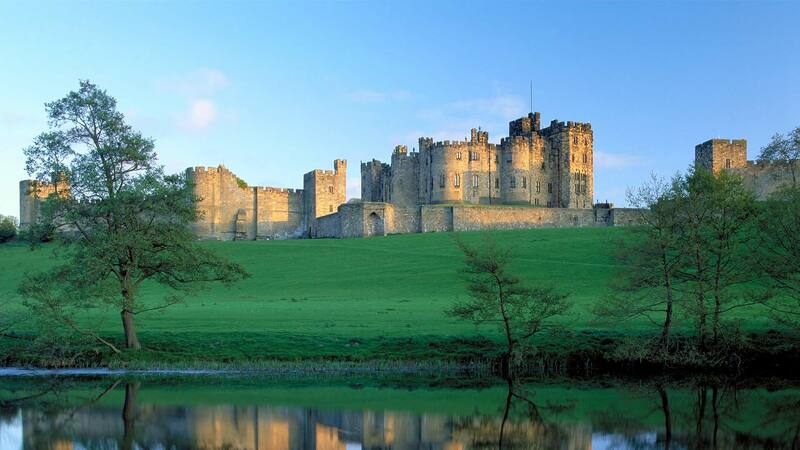 Spend the night in the Alnwick area. 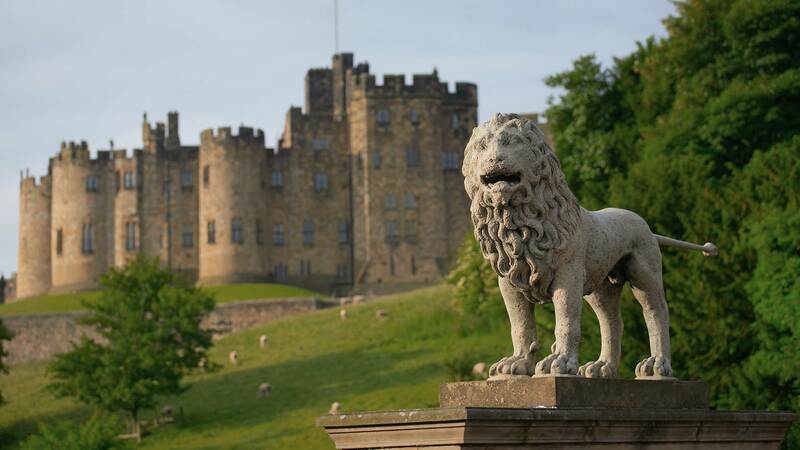 Explore Alnwick today, an old market town where you can visit Alnwick Castle, the second largest inhabited castle in the UK. 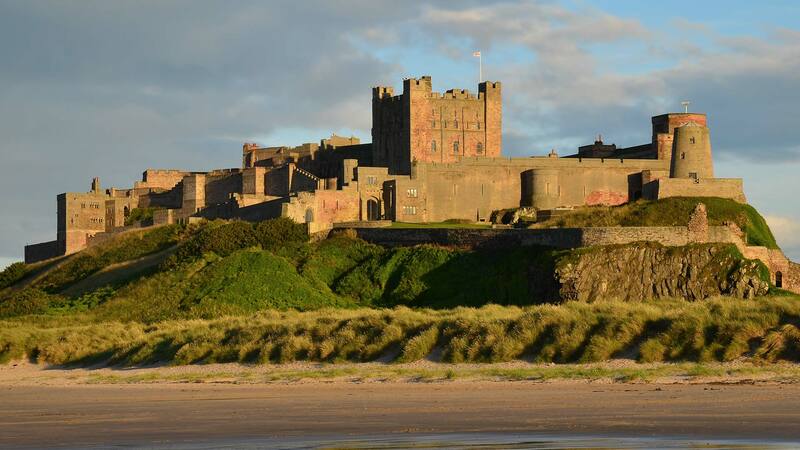 It has been home to the Duke of Northumberland’s family for over 700 years and has been featured as Hogwarts in the Harry Potter films and as Brancaster Castle in the Downtown Abbey TV series. Adjacent to the castle is the magnificent Alnwick Garden. Nearby Alnmouth is a picture-postcard seaside village at the estuary of the river Aln, with quaint colourful cottages along a gorgeous stretch of golden sand beach. As your start your drive north back towards Edinburgh, you can opt to visit one of two castles. 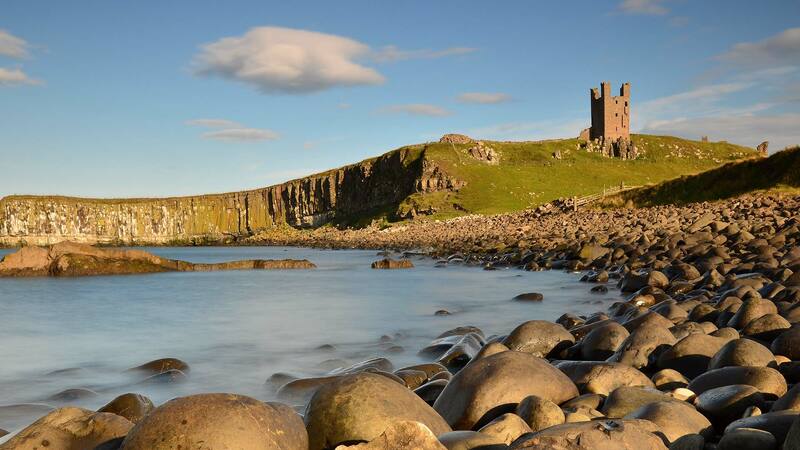 The first option is the ruins of the grand Dunstanburgh Castle, set on a remote headland of the Northumberland coast accessible by a scenic coastline walk from Craster. 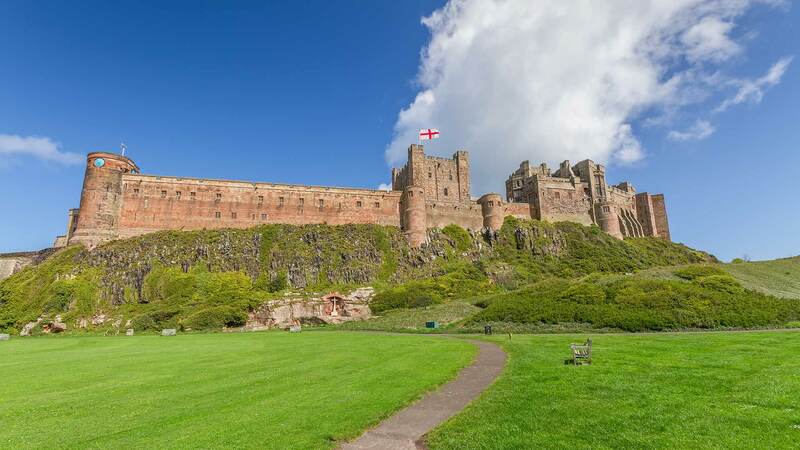 The second option is the iconic Bamburgh Castle, situated dramatically on a basalt outcrop above the dunes, overlooking miles and miles of golden sand beach. Your next optional stop will depend on the tides. The Holy Island of Lindisfarne lies just off the Northumberland coast, reached via a causeway that is accessible only at low tide. To learn about the island’s Viking and Celtic history, visit the island’s exhibition centre. In the afternoon, head back to Edinburgh, return your car and enjoy the rest of the evening at your leisure. Excellent, all the way round! Extra nights can be added to this package on request. Contact us for details. This tour is subject to availability. We recommend booking well in advance, especially for July or August arrivals when there is great demand for ferries and accommodations.